On VersionEye you can follow software libraries and as soon a new version comes out you will receive an email notification. 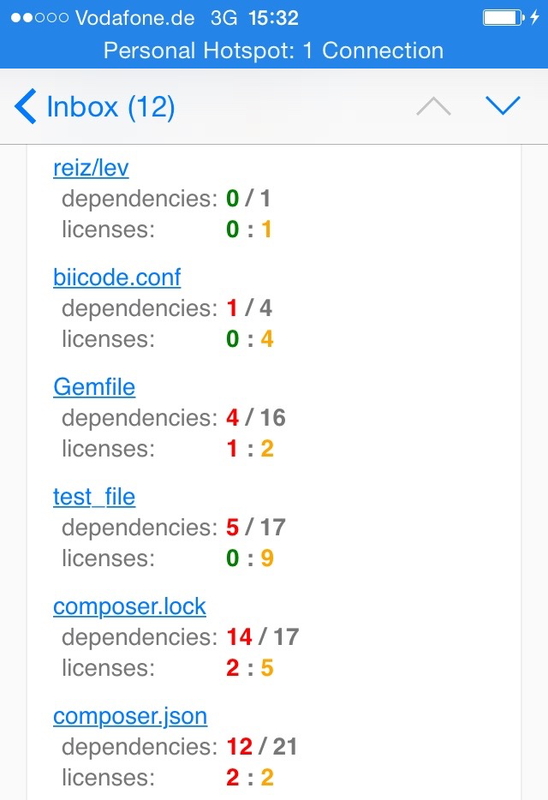 Beside that VersionEye can monitor your project on GitHub/Bitbucket/Stash and notify you about out-dated dependencies in your project. Some people complaint that the email isn’t optimised for mobile and that some emails are not readable on mobile. Now the email templates just got an update. Now there are optimised for mobile and look similar to that one.